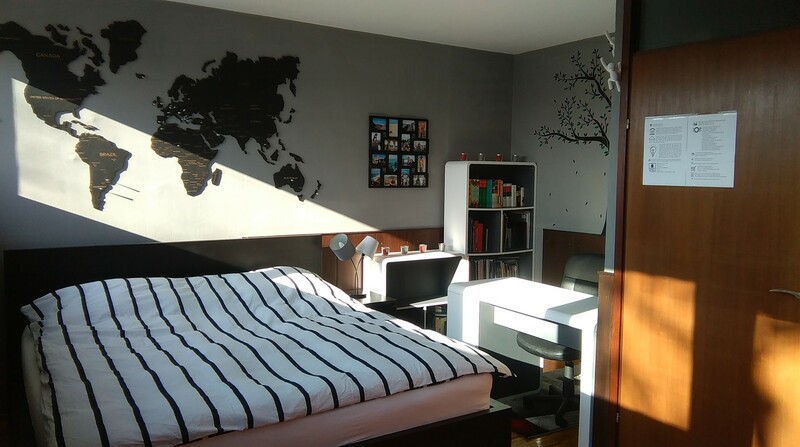 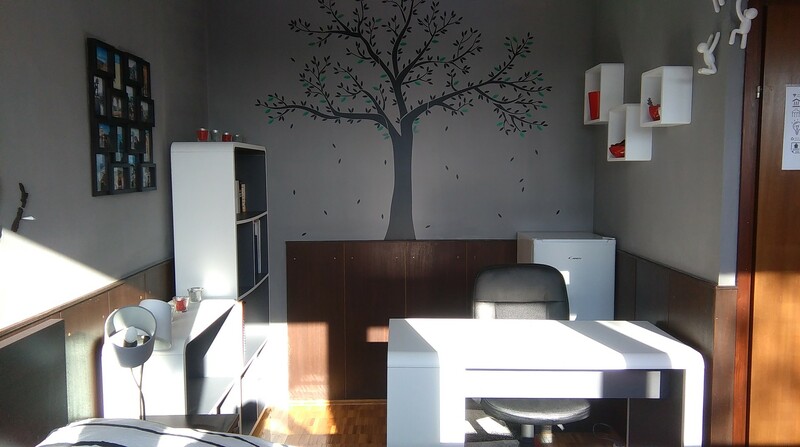 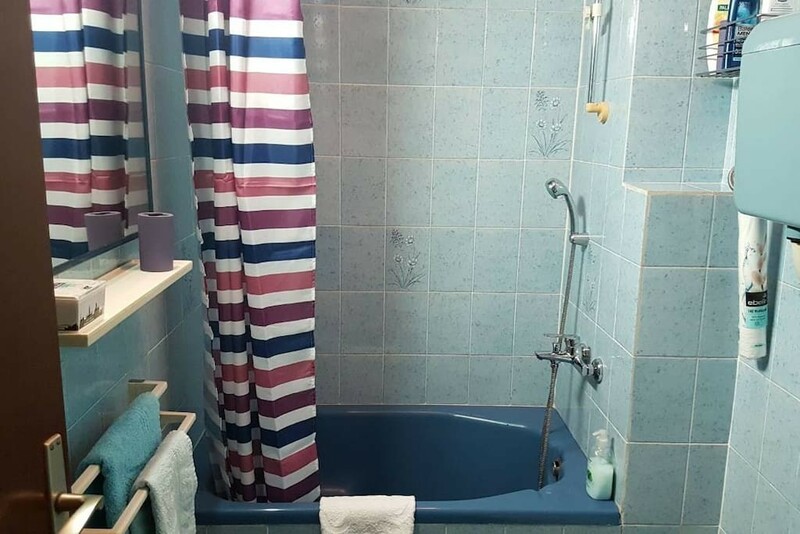 Newly furbished room (king-size bed, desk, large wardrobe, small fridge, kettle, central heating, wifi, towels, bedding) on the upper floor of the apartment in a residential area close to lake Jarun, with good connection to the city centre (bus stop 2 minutes walk and tram stop 5 minutes walk). 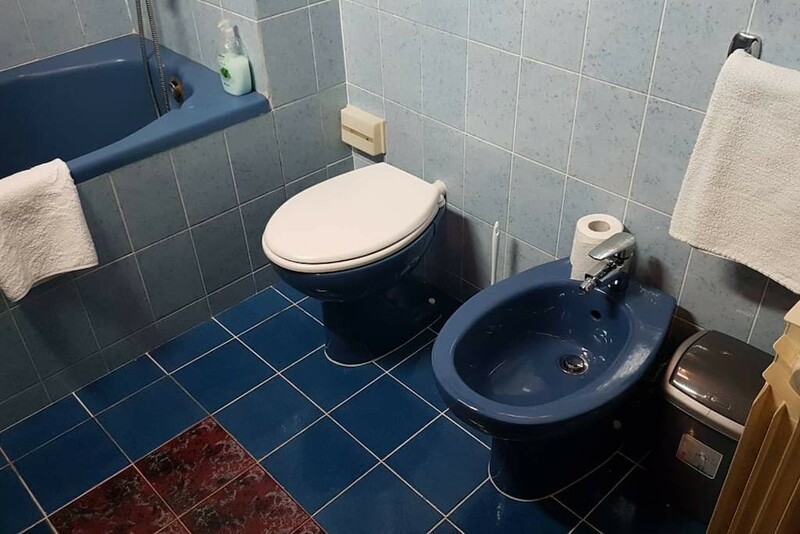 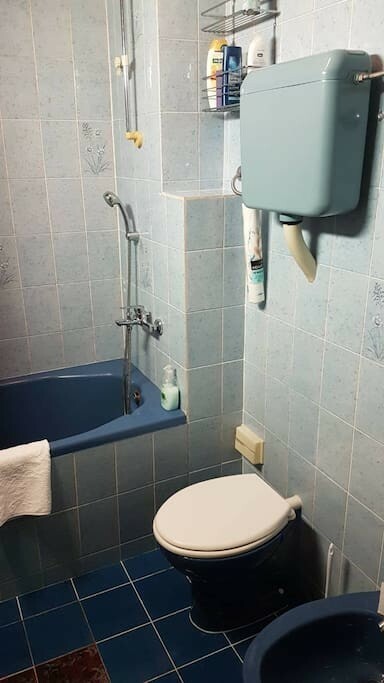 Exclusive use of the bathroom (small bathtub, toilet, bidet; soap, toilet paper, shower gel, shampoo, hair dryer). 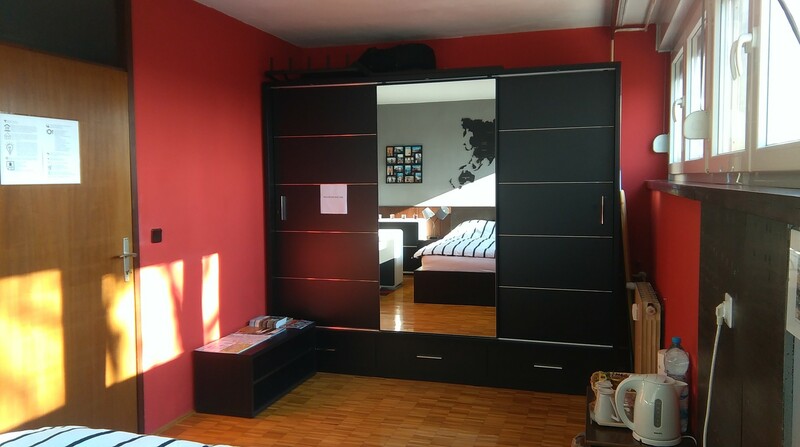 Hosts live in the apartment, but on the lower floor and the only rooms used by the hosts on the upper floor are the office and storage room. 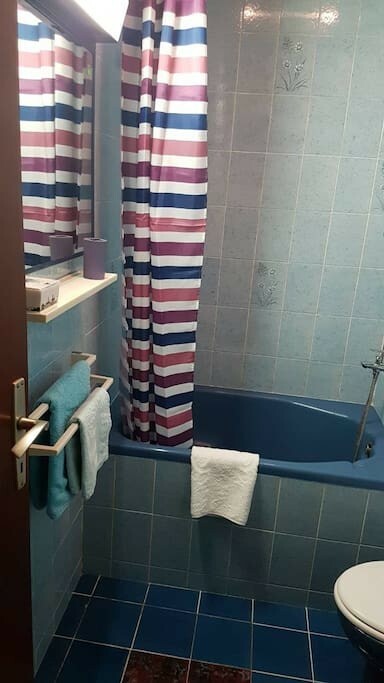 No shoes in the apartment.